Over the last two decades there has been a substantial increase of the number of studies on the species of genus Sideritis. Species of section Empedoclia, occurring in the Eastern Mediterranean region and in part of Western Asia possess some remarkable characteristics and are known as valuable medicinal plants used by local people in the traditional medicine and for herbal tea. The objective of the review is to make a survey on the recent studies on the ethnopharmacology and biological activity of the species in Southeastern Europe and in Turkey, which is the center of distribution and their main occurrence. 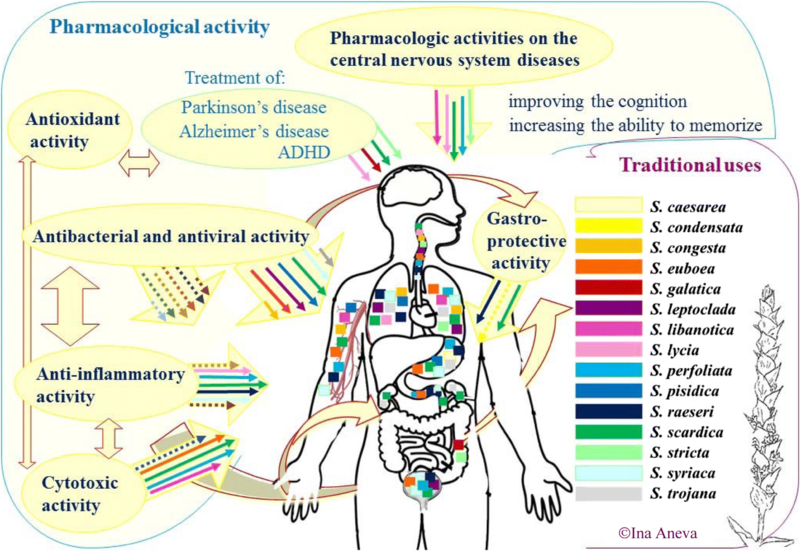 The review focuses on the ethnopharmacology and biological activities of the species of interest. 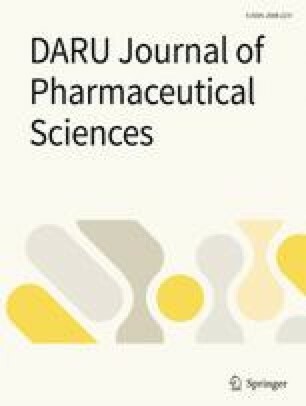 The survey revealed that a total of 47 species belonging to section Empedoclia have been studied either in ethnopharmacological aspect, or in relation to their biological activities, or both. Most species have been used traditionally by the local people as herbal tea or for treatment of various health problems, most frequently flu, cold and respiratory diseases. Sideritis species demonstrate numerous biological activities and are promising for use in the therapy of many diseases and health disorders. Antioxidant activity was found in 40 species, antimicrobial and antibacterial activity – in 27 species, anti-inflammatory – in 14 species, antifungal – in 8 species, cytotoxic – in 7 species. There were also some other, more specific biological activities, found in a few species, but considered promising for further studies and application. The species of genus Sideritis, section Empedoclia have been used by local people as herbal tea and in traditional medicine since long time ago. People are taking advantage of the high species diversity and are aware of their useful properties. Much more information is available on the biological activities of the target species than on their traditional uses. Most species demonstrate various biological activities and are of substantial interest for further studies on their pharmacological properties and their potential for pharmacy and medicine. Schematic illustration of traditional uses and biological activities of some Sideritis species. Arrows with different colors represent biological activities of different species. The species and their corresponding color can be seen at the right part of the figure. The colors correspond also to the squares placed in the different parts of human body. Ina Aneva expresses her thanks for the support provided by the project DFNP 17-17, Program for Career Development of Young Scientists, Bulgarian Academy of Sciences and by the Bulgarian Ministry of Education and Science under the National Research Programme "Healthy Foods for a Strong Bio-Economy and Quality of Life" approved by DCM № 577/17.08.2018. Special thanks are due to Dr. Frank O’Reilly (Agricultural & Rural Development Consultant, London) for the editing of English language. Dioscorides P: De Materia Medica. Publisher: Juan Lacio, Anvers 1555, 616 pp. (https://www.wdl.org/en/item/10632/; Accessed 09 April 2018).